Minneapolis musician, graphic artist and generally swell human being Casey Deming has created this flyer to promote the inaugural crow with no mouth promotions event in Minneapolis. 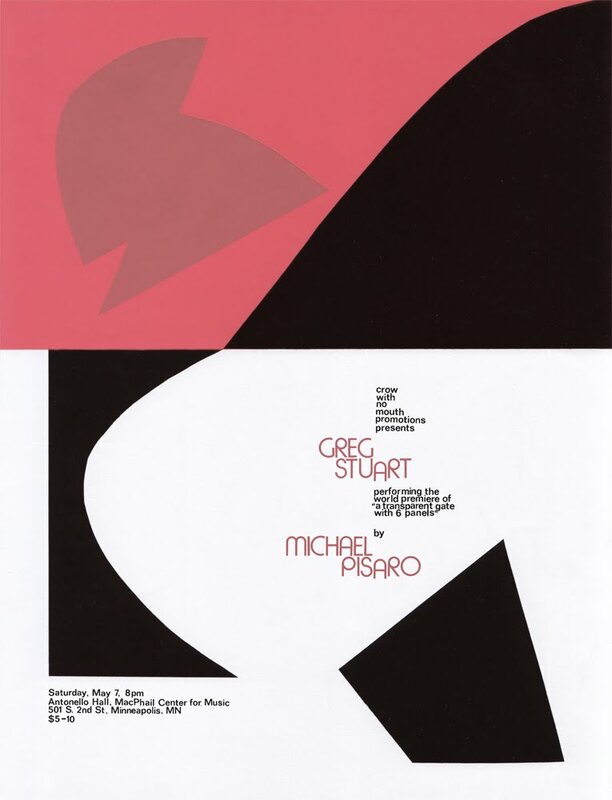 I asked that he look at a few Ellsworth Kelly works, listen to several Pisaro/Stuart pieces, and make a poster. I have liked much of his poster work for Tuesday Series, a long-running bi-monthly series of concerts of improvised music in Minneapolis, featuring local and touring musicians, which Deming co-curates. I want to thank Casey for his work, and look forward to future collaborations. This entry was posted in music writing on April 14, 2011 by jessewgoin.